At The Montcalm Luxury Hotels, we are committed to making the entire guest experience as exceptional as possible and continually strive to better our service; ensuring your stay is truly outstanding. We are therefore delighted to offer the latest in hotel technology. Each room at The Montcalm London Marble Arch will be equipped with an iPad or alternatively you can download the iRis Valet app on your own tablet or smart phone, iOS and Android device. Our new interactive welcome pack brings the entire experience to life with up-to-date live destination information, assistance with hotel information and helping you to discover exciting local attractions to make the most of your stay. It will enable you to interact with your environment like never before. 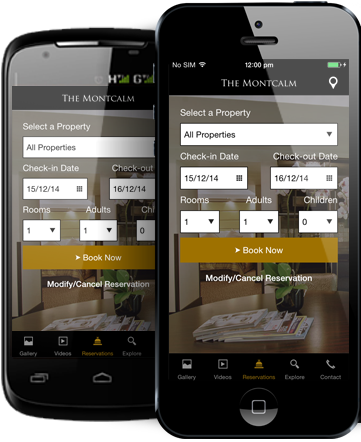 You will now be able to view and book room service, reserve a spa treatment, make restaurant reservations, view maps, local attractions, request a taxi, request for concierge services, shop for products both at the hotel and outside, as well as update you on the current weather forecasts and transportation schedules.